THE South African government has extended the closing date for submission of applications for Zimbabweans willing to get Zimbabwe Exemption Permit (ZEP) to January 31 next year. 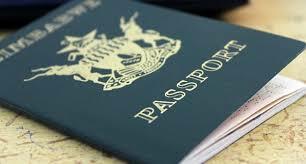 The three-year Zimbabwe Special Permit (ZSP), which allows Zimbabwean nationals to work, study and conduct business in South Africa, started in 2014, and over 197 941 were issued. However, they are due to expire on December 31, 2017. South Africa’s Home Affairs director-general Mkuseli Apleni announced the extension of the ZEP project at a media briefing in Pretoria yesterday. “Due to the large number of ZSP (Zimbabwe Special Permit) holders who have completed the online applications thus far, the department has extended the closing date for the submission of supporting documents and biometrics to 31 January, 2018,” said DG Apleni. DG Apleni said they initially expected to complete the ZEP project, including finalising adjudications and issuing the new permits, by the end of September this year. He, however, stressed that the November 30 deadline was only for submission of online applications. “Flooding of VFS offices actually defeats the aim of using technology to improve service delivery,” he said. “Just as it is comfortable to apply for exemption permits at home, where you do not have to queue, we want to ensure that people are not subjected to the discomfort of spending hours in a queue. DG Apleni implored ZSP holders to complete their online applications, to make necessary payments, and schedule appointments by November 30 at any of the 10 VFS Global offices across South Africa. He said ZEP permits would be issued for a maximum period of four years, effective January 2018 and expiring on 31 December 2021, notwithstanding the date of issue. DG Apleni added that there was no requirement for ZSP holders to apply for other permits outside South Africa, but could apply for mainstream permits in that country. “ZSP holders who want to travel outside South Africa for the festive season will be able to do so. They only need to produce their passports with the ZSP stickers, and their ZEP application stickers,” he said. In terms of the special dispensation granted by Pretoria in 2014, Zimbabweans who had previously been granted permits under the Dispensation for Zimbabweans Project were permitted to re-register for the non-renewable three-year ZSP, which has now been substituted by ZEP. DG Apleni commended Zimbabweans living and working in that country for expeditiously transitioning from the special dispensation permits to the conventional permits issued under South Africa’s immigration legislation. He said exemption permits are not permanent or long term. “They are there only to serve a specific purpose, with a view ultimately to having people returning to their countries of origin to build their lives anew,” he said.